Exposure to excessive noise can damage your hearing over time. It is important to know the effects that noise can cause, and what steps you can take to avoid it. First and foremost, wearing hearing protection reduces your noise exposure level and lowers your risk of permanent hearing loss. When a noise is too loud, it causes damage to the nerve endings or stereocilia in your ears. Too much of this damage will kill those nerve endings and lead to hearing loss. This damage is caused by not only how loud something is but also by how long you are exposed to the noise. There is no way to restore life to dead nerve endings, any damage caused by exposure is permanent. Other effects may come from damaged nerves in the ear besides hearing loss, including tinnitus. Tinnitus is more commonly known as a “ringing in the ears” and affects millions of people worldwide. It is incurable, permanent, and constant. Other long term conditions such as Alzheimer’s Disease are commonly linked to hearing loss. The connection is not fully understood, but a recent study by Johns Hopkins University showed a link between hearing loss and the disease. These reasons create urgency for you to know when and where to use hearing protection. All hearing protection devices include a NRR rating, or a Noise Reduction Rating. This rating determines the noise exposure reduction of the product, measured in decibels. This rating is often overestimated, as it is calculated in an experimental environment. For example, an average rock concert will have a noise exposure level of 100 dB and if you are wearing protection rated with a NRR of 33 dB, your noise exposure will only be reduced to 87 dB. The math behind this answer would be to take your NRR number, subtract 7, then divide by 2. This new number is the amount of exposure reduced by the hearing protection measured in decibels. Exposing yourself to loud environments can be damaging in many ways. You must understand the effects of a lifetime of noise exposure in order to take the precautionary steps to avoid permanent damage. Hearing protection such as earplugs or earmuffs should always be worn when working in noisy environments. Protection should be worn when around firearms, motorcycles, lawn equipment, power tools and other situations with similar sound levels. This is a guest article and was posted by Libel Hearing Aid Centers, a hearing aid dispensing practice with 6 locations in Missouri and Kansas (Major locations include St. Joseph, Lansing, Hiawatha, and Atchison) specializing in hearing aids, tests for hearing loss, and hearing protection. One option to protect your hearing is earplugs, though these do not make you immune to loud noises. 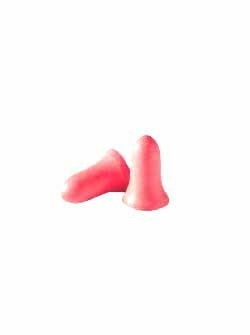 These lightweight earplugs are popularly used for comfort and protection in a small size. They have a NRR rating of 33 dB and are meant for activities like shooting, loud music, power tools, racing and more. Another option for hearing protection is earmuffs. This highly reviewed earmuff contains a great NRR score, is compact and comfortable for the user. 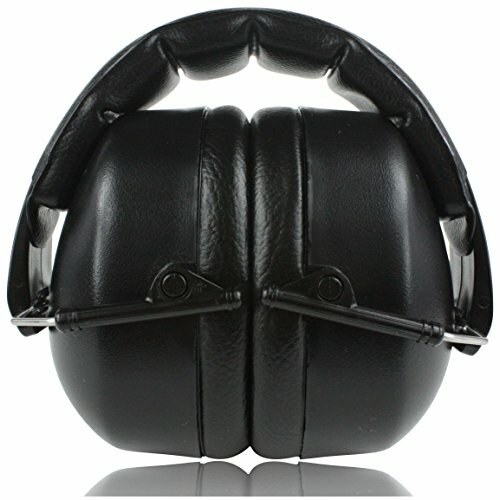 Muffs tend to be designed around being used in a shooting range, but can be used in many different loud environments including mowing or operating machinery. ClearValue Hearing partners with hearing providers around the United States to make sure that people have access to free hearing tests. If you want to learn more about your hearing, please call 1-888-439-5775 today and take advantage of this free program. This article was guest posted by ASI Audiology, a large audiology practice in Iowa with 16 locations. Iowa is significant producer of corn, soybeans and hogs nationwide. In 2014 more than 100,000 of your friends and neighbors in Iowa reported experiencing some sort of hearing loss. That’s not surprising since 15% of adults over 18 experience hearing loss to some extent, and 28.8 million American adults could benefit from hearing assistance! The causes of hearing loss in Iowans may surprise you, however. people in Iowa often joke that we have two seasons – winter, and construction / farming / pothole repair. That second season is wreaking havoc on our hearing. Let’s go over some of the occupations that contribute most to hearing loss in Iowa. Construction: If you’ve ever been caught at a red light while a crew uses a jackhammer to repair the street, you know how painfully loud that sound can be. Imagine how it would feel if that was the job you did every day. People working in construction use saws, drills, hammers, and other equipment that makes a great deal of loud noise for long periods of time. A tractor plowing a field in rural Iowa. Farming: Did you know more than 200,000 Iowans are employed as farmers or work in a farming related field? At first glance, farming might not seem like a profession that could damage your hearing – at least not to city dwellers. But those who have lived or worked on a farm, or in any of the many industries that relate to it, know better. A tractor with a closed cab can expose its operator to noise levels of around 85 decibels, and an open cab to 100 decibels. Grain silos and all the equipment that dries and keeps things flowing smoothly generate a lot of noise. Even a barn full of animals can be loud. A pig’s squeal alone can reach 106 decibels! Manufacturing: According to the CDC, 82% of hearing-loss cases reported in 2007 involved workers in manufacturing. Manufacturing is equipment-intensive work, and equipment tends to create noise. In Iowa, manufacturing tends to be particularly focused on heavy farming equipment, which often has significantly more work and machining.When the noise reaches over 85 decibels, damage can occur. When that noise level is sustained for hours and days at a time, it’s hard to understand how someone wouldn’t have hearing loss. Hunting: This activity might ring a bell – and keep bells ringing in your ears for years to come in the form of tinnitus. In 2013 more than 170,000 hunting licenses were issued to Iowans. Being exposed just once to gunfire can do permanent damage to your hearing! Bow hunters might think they’re at less risk but you don’t have to pull the trigger yourself for a gun’s sound to cause hearing issues – standing next to the person shooting, or even in the vicinity, can cause damage. Earplugs are an incredibly effective and cheap way to address overly loud sounds. First, be mindful of working conditions and use the appropriate noise-reducing gear. Know what tools and equipment are particularly loud, and wear hearing protection when working with or near them. Try different protection options – earmuffs may sound like something a kid would wear in the snow, but using them will keep you safe and much happier when you can hear your grandchildren telling you about their day. If earmuffs are too much, try earplugs. They may not be glamorous, but if they’re effective, that’s all that matters where safety is concerned. Second, use tools that muffle or reduce noise on the equipment itself. You can install noise-reducing mufflers on engines. Choose the tractor with an enclosed cab or purchase an add-on enclosure. Third, a simple and quick hearing test can help you understand where your hearing is now, and your hearing care provider can help you identify tools and resources to slow or prevent further damage. If you work in any of the above industries, or you find yourself engaging in loud activities regularly, you should have your hearing tested once per year to check for any significant changes. Our hearing is one of the greatest gifts we have because it allows us to connect with people and things we love, and when we can protect that gift, we should! This post was guest authored for ClearValue Hearing, the free hearing benefits plan by ASI Audiology and Hearing Instruments out of Red Oak, Iowa. Call today at 888-439-5775 to receive free annual screenings for hearing loss anywhere in the United States. Our ears may capture sound, but we hear with our brains. Many of us assume we hear entirely with our ears, but that’s not exactly true. It helps to think of it this way: When you hear a favorite song on the radio, the radio itself is not the song – it’s the tool that lets you hear the song. Similarly, your ears are the ‘radio’ for your brain. They are the tool that passes the song – or words spoken by a friend, or the giggles of your grandson – to your brain. Your brain then processes and ‘hears’ the sounds. If it’s been a while since your last science class, the cerebrum is the part of your brain inside your skull. Its job is to handle the daily tasks of life, you might say. It analyzes information, it makes decisions, it stores information, and it processes what your eyes see, your tongue tastes and your ears hear. The temporal lobes are sections of the cerebrum, and they are responsible for hearing, storing new memories and bringing back ‘old’ memories. When you experience hearing difficulty, it’s because there is a loss of information entering the brain. The auditory nerve – the part of your brain that carries sound information – begins to weaken. This forces the area of the brain that processes sensory input, like sound, to work harder to make sense of what it is hearing. Weakness of this shared area of the brain is connected to dementia and Alzheimer’s Disease. This information was first published in a study by Dr. Frank Lin, a researcher at Johns Hopkins University. This study, titled Hearing Loss and Incident Dementia, has been the foundation for much of our understanding of the links between hearing loss and cognitive decline. We’ve always known that losing your hearing had a serious effect on your ability to communicate, but this discovery makes it quite clear that untreated hearing loss will do much more than just stop you from hearing your loved ones. Being able to hear and remember information is important to enjoying memories with grandchildren. Losing your hearing is difficult enough, but this area of the brain is also involved in memory. If your hearing is impaired, the brain area that handles both hearing and memory may have to ‘reshuffle’ resources to do its job. Hearing loss can cause further difficulty when processing information in this area of the brain, which may already be struggling. The part of the brain that deals with memory, recall, and association may be weaker than it should if you aren’t able to hear well. There’s more to this risk than sensory deprivation from a weakening in the auditory nerve. Many people with hearing loss feel socially isolated, and withdraw into themselves. This often leads to loneliness and depression, which are well-known risk factors for cognitive decline. Feelings of loneliness can increase the risk of dementia by as much as 60%. Of course, not everyone with hearing loss will suffer from dementia or Alzheimer’s, but a recent study showed that people with hearing loss have a 40% greater chance of cognitive difficulty. This is true even for individuals with only a minor hearing loss. Treating hearing loss – even mild loss – sooner rather than later is vital. Providing support to the auditory nerve can help reduce strain on that part of the brain, which may allow it to dedicate more resources to managing memory. This can have the added effect of reducing stress, headaches from prolonged concentration, and improve overall quality of life. Did you know age related hearing loss begins at 45? If you’re in your 40s, it’s time to get a hearing exam. Addressing even mild hearing loss now will have positive effects on your life as a whole, but can also help your brain function more efficiently. And, if you’re one of the 29 million Americans with type 2 diabetes, be sure to have your hearing checked now regardless of your age, because individuals with the disease often experience hearing loss sooner than their non-diabetic peers (see article The Link between Diabetes and Hearing Loss). For more information on the connection between Alzheimer's Disease and Hearing Loss, please read articles from reliable sources like Johns Hopkins University's article "Hearing Loss Linked to Accelerated Brain Tissue Loss". It is very important that you get your information from a reliable medical professional before taking action. Alzheimer's Disease can be a overwhelming problem to deal with, and it is strongly encouraged that you take advantage of a free hearing test to address your hearing loss. ClearValue Hearing exists to serve its members by providing information on Hearing Aids to people with Hearing Loss. We operate a Free Hearing Benefits Program for people all over the United States and our members are entitled to a Free Hearing Test no matter where they go, and receive better pricing on instruments than the general public. We have negotiated a set service plan and pricing breakdown with audiologists and hearing professionals around the country to better combat the problem of hearing loss. There is no commercial obligation to be a member of ClearValue Hearing, this is a free service to better address the epidemic of hearing loss nationwide. Our membership is currently open, if you or a loved one has a hearing loss, please take the time to give us a call and see how we can help. Call 1.888.439.5775 for the next steps to better hearing.